Welcome to our Beautiful Bella Sirena condo. 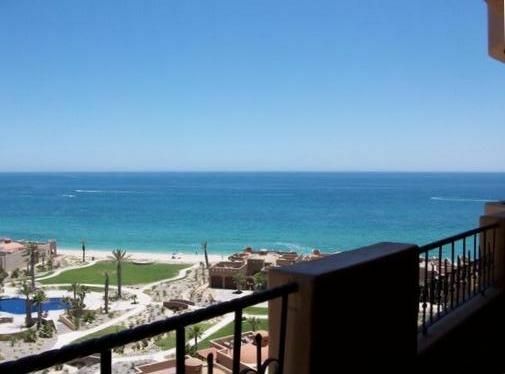 Our condo is located in the popular E building with great views of the Ocean from our 6th floor balcony! The balcony view is amazing at night! Bella Sirena offers great amenities including 24-Hour on site security, gated entry, infinity pools, three hot tubs, poolside palapa bar and day grill (seasonal), tennis court, putting green and outdoor grills. Enjoy a relaxing massage on the beach! The condo has been recently updated. It offers 2 bedrooms with king sized beds in the master room and in the guest room. The living room has a new electric fireplace with Cantera Stone and a dark wood mantle! Focal point of the room. Fully stocked kitchen with stainless steel appliances , granite countertops and updated tile backsplash with under cabinet LED lighting. Tile flooring throughout, and the balcony offers great views of the beach by day and city lights by night. You will spend hours enjoying these views. Amenities include : Direct TV Satellite , Smart TV's, Wifi Internet and home phone to dial free to the US! This is a non-smoking condo and All renters will be checked to verify they are 25 years or older. There is an add'l $60 fee which is for taxes/cleaning fee. Beautiful ocean views !! Views of malecon and city lights at night! Interior is Hacienda furniture and décor. King beds. New AC unit and updated kitchen! Condo is located in Building E. This is the closest building to the Ocean. Great views of the ocean by day and city lights by night! Seaside provides the linens and towels for your entire stay. Towels wont be replaced during your stay. You can wash your towels using the washer/dryer in the condo. Satellite Direct TV is located in the family room and both bedrooms. Beautiful condo, very well appointed with everything we needed. The owner, Stan was awesome! Always available to help with any questions we had. The resort is beautiful. Pools are awesome. Pool bar was awesome too. Will definitely stay here again! Thanks so much ! So happy you enjoyed your time away. We really appreciate you staying at our home away from home ! Look forward to many return stays. Thanks. I rented this for my Mom... it was absolutely beautiful. Stan, the owner was a sweetheart. He answered any questions we had & was readily available. We’d definitely rent again! We had a perfect weekend with amazing weather! Thanks! PS - the wedding at Manny’s was awesome! Shayna did a great job coordinating for us! Congrats again ! So happy your mom was able to be there. Thanks so much. This unit in Bella Sirena is without a doubt one of the nicer ones. High end amenities are found throughout. A super nice view awaits you from either of the bedrooms as well as the living room. Unit is furnished with three TV's and comfortable beds. The four of us felt very safe and comfortable. Stan made it a point to check in with us after the first day to insure that our needs were met. Would definitely stay here again. We really appreciate your response So happy you enjoyed your visit. Looking forward to your return visits. Great place to stay in Rocky Point. Lovely complex. Beautiful views. Condo is well equipped and maintained. Beds are very comfortable. Thanks so much ! So happy you enjoyed our place ! Come back soon. Perfect quick family trip! Loved the view and the condo. Comfortable and perfect location. We appreciate your visit and we look forward to having you return for another family trip. Can’t wait to return and visit again! Thank you so much for staying at our place ! We really appreciate it and look forward to many return visits. Bella Sirena resort has several pools, 3 hot tubs and massage therapist are located on the beach!